The Bulls and Nets are headed to overtime in Game 4 of their series and it is almost assuredly because of this little bit of Chicago voodoo. 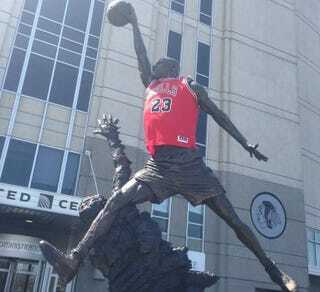 Before the start of today's game some fans put a Jordan (road) jersey on the Michael Jordan statue outside the United Center. Now if they could just put a jersey on Derrick Rose.